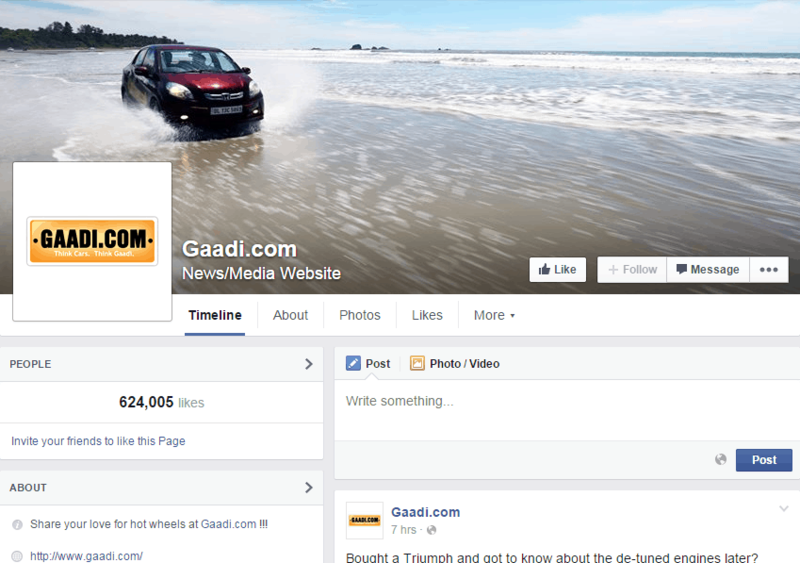 Gaadi.com wanted to increase online engagement with its audiences in order to increase its reach. Although, the company had a huge presence on its social media accounts on Facebook and Twitter but the engagement levels were comparatively very low. Not just the organic reach on its Facebook page was low but even there were only 9-10 comments on the posts. The company badly needed content that could connect with the young audience of automobile fanatics. The company suffered almost the same thing on Twitter as well and needed a boost on this platform to increase its visibility among those who were already following their Twitter handle. The company wanted to attract more people to follow and engage with their twitter handle. 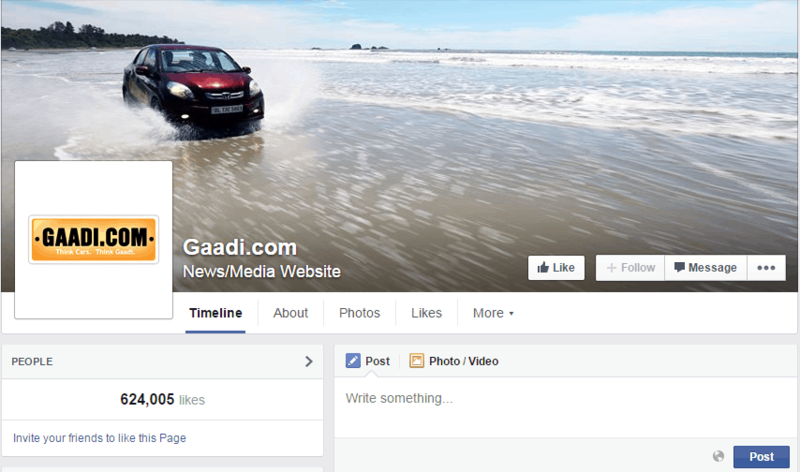 Gaadi.com is an online portal that caters to all your need of the information required before buying a car. it provides you information on all the peculiarities such as variants of the model, technical details, photos (of both interiors & exteriors),features, specialized points of interest, reviews of users, review by expert and each important subtle element. Not just that, it also provides with information like the most recent cars that have hit the market and which brand has what number of models, giving you arrangement of car models focused around value go and providing you in-and-definite data about the car model you picked to research, at the same time. • To produce content that can intrigue its Facebook page’s audience and drive engagement levels. • To attract more people to its Twitter account and also increase engagement levels by running dedicated campaigns on Twitter with themes. • Depending on the research, content related with Bollywood was produced and posted. • Cars and Bollywood themes were combined that resulted in the creation of the ‘Gaadiwood’ series. 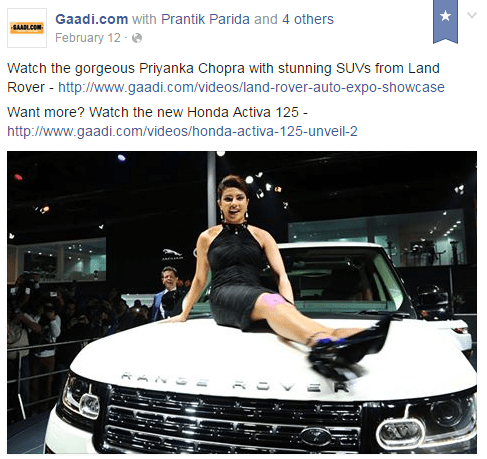 • Famous movie posters were taken and the theme ‘Gaadi’ was included in them. #GaadiShutterbug campaign based on the fact that people like to click the pictures of cars was launched and people were allowed to share these pictures on Gaadi.com’s social platforms: facebook page, twitter profile and Instagram profile. Within a week of the launch of the campaign, the company received more than 70 entries, some of which have been featured on their platforms as well. 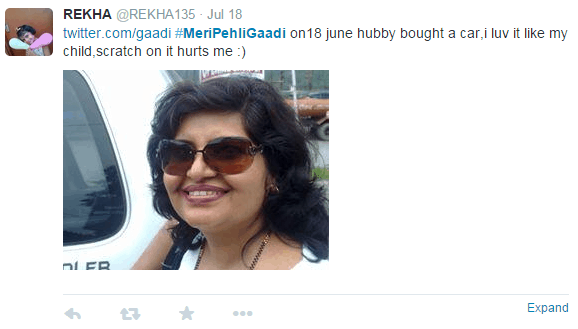 • Within an hour of #MeriPehliGaadi campaign launch, Gaadi.com received more than a 1000 tweets and the hastag #MeriPehliGaadi trended on Twitter all over India. • By the end of the #GaadiShutterbug campaign, more than 230 entries were received in a matter of 30 days.